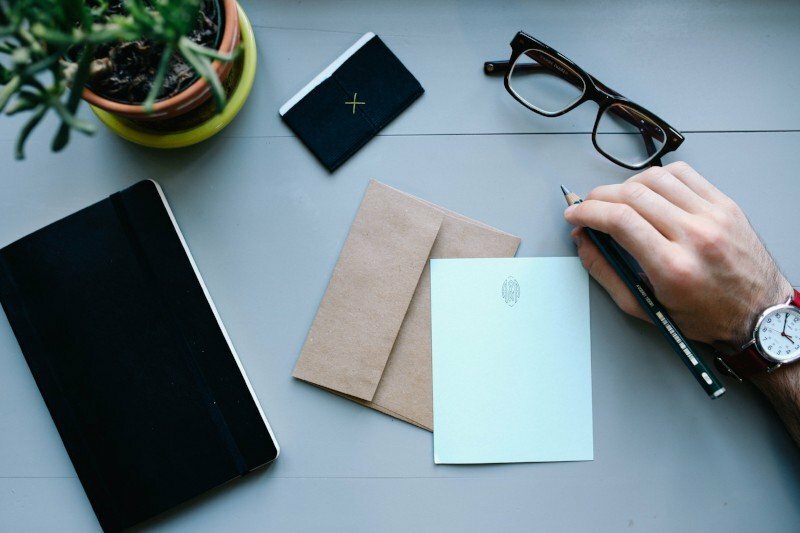 You may be familiar with sending thank you notes after receiving a gift – but what about after receiving a business opportunity? Take cards from the personal space into the business space to show your prospects how much you respect their time. While a verbal “thank you” is nice enough, sending a handwritten card makes your appreciation more memorable. Stand out from the rest and build up your business with this meaningful gesture. Sending a card feels much different than sending a message via text or email. In today’s society, we gravitate towards these digital platforms because of their convenience. Stand out with the personalization that texts simply don’t achieve. Writing a note that expresses your gratitude takes extra time and effort – and clients will notice that. As for design, create a card with a simple yet creative layout that doesn’t draw attention away from the message. Your words should speak for themselves! Just by sending a thank you note, you’re planting the seed for a positive working relationship. Think of it as an investment in the future of your company. Gratitude goes a long way. 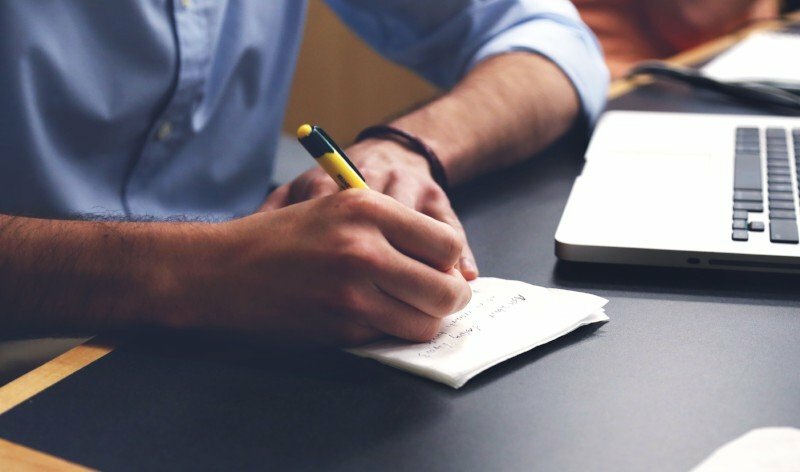 Customers like to see that their favorite brands have a human side, and by putting pen to paper you’re demonstrating just that. Customers remember these interactions, and are much more likely to choose your services. Why go to the competitors when they’ve already built a connection with you? All companies want to make a name for themselves in the marketplace. New customers often hear about brands through word-of-mouth before gathering information straight from the source. That being said, it’s important to leave a lasting impression so clients communicate the positive aspects of your business to others. Give them something to talk about! A thank you note stands out because it’s more meaningful than paid promotion sent to every client in the books. Yet, your card is sure to enhance revenue when prospects tell their friends just how thoughtful your company truly is. 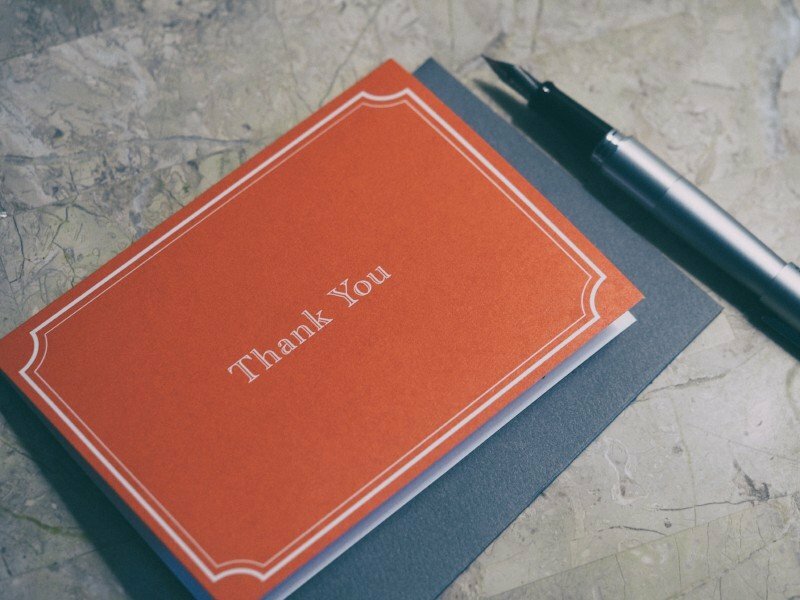 An occasional thank you note can do wonders in growing your business opportunities. Commit to showing appreciation more often! Need some assistance to get started? Our design team can help conceptualize your card’s layout. Or, give us a call when you’re ready to mail. Print Tech makes customization easy with the right team and technology.